It did not happen very often that a member of the House of Habsburg was reduced to cleaning latrines, but that is precisely what happened to Maximilian Duke of Hohenberg. There is probably no greater anecdotal evidence of the massive changes wrought upon European society in the first half of the 20th century than the fact that the son of Archduke Franz Ferdinand – the man who was heir to the Austro-Hungarian throne until his assassination sparked World War I – ended up orphaned, banished from his home and later from his homeland and was lucky to survive imprisonment at a concentration camp. 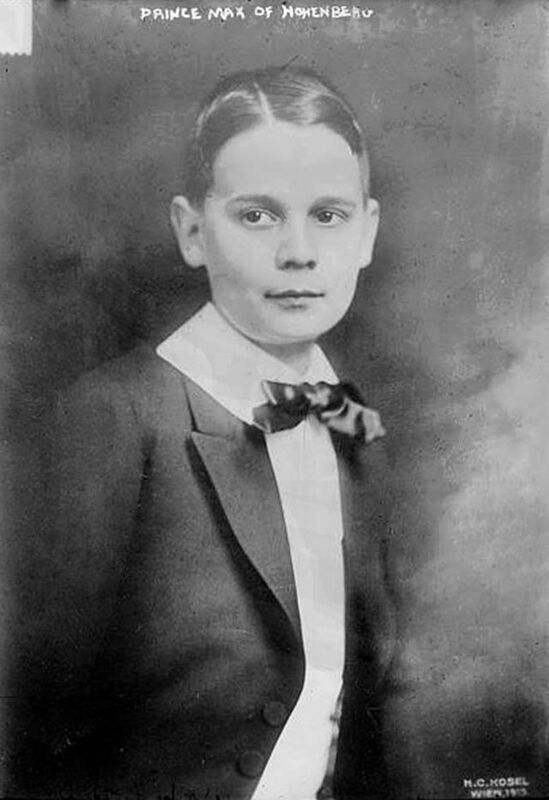 The man who would become Maximilian, Duke of Hohenburg was born in 1902, the second child and oldest son of Franz Ferdinand and his wife Sophie Chotek. The marriage was extremely controversial due to the fact that Sophie was of a lower aristocratic order than Franz Ferdinand and as such was not considered a suitable candidate to marry an heir to the throne. Nonetheless, the couple married and gave birth to three children. Maximilian, being the eldest son would have been in the direct line of succession for the Habsburg Throne, but even before he was born the arrangements of his parent’s marriage made it impossible. 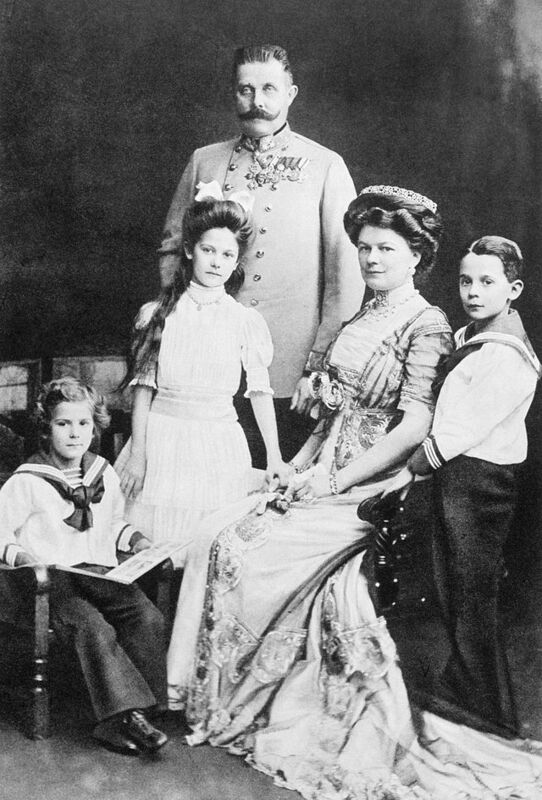 Some might say it was fate, others tradition, but one of the conditions of Franz Ferdinand’s marriage to Sophie was that his sons were not allowed in the direct line of succession to the throne. Thus from the very start Maximilian had no hope of gaining the throne. Furthermore, he was not allowed to inherit any titles, incomes or property from his father. Inheritance was only allowed from his mother’s side. This seems quite bizarre, but the aristocratic world of Austria-Hungary, especially the loftiest ranks was wedded to tradition and protocol. Tradition in the House of Habsburg was often stronger than people. Yet tradition could only go so far in keeping Austria-Hungary together in a 20th century of mass movements and great technological change. Maximillian was unlucky enough to be born into this era. His own father, Franz Ferdinand, had flirted with changing tradition and his offspring ended up paying the price. On June 28, 1914 Maximilian’s parents were both murdered in the streets of Sarajevo by a Bosnian-Serb assassin. This of course was the great spark that ignited World War I, a conflict that would change the order of Europe and the world forever. On a more personal level, the war upset millions of people’s lives. Maximilian’s life was one of these. He and his siblings were now orphans. Their lives were thrown into a state of uncertainty. The war was bad enough, but the aftermath even worse from an aristocratic perspective. The monarchy collapsed and the Habsburg’s lost all power. Being part of the family was no longer a privilege, but now a curse. The newborn nation states of Central and Eastern Europe were led by men who had abhorred Austria-Hungary. They now set about vanquishing the Habsburg legacy. Maximilian had been brought up at the family residence in Konopiste. His life there had continued even after his parents were killed, but in 1919 the new nation of Czechoslovakia expropriated the property. The three siblings now became displaced persons, albeit very unique ones. They moved to another family home, Artstetten Castle, in lower Austria. Possibly the strangest aspect regarding the first half of Maximilian’s life was how normal it was turning out to be. He attended to University of Graz where he acquired a law degree. 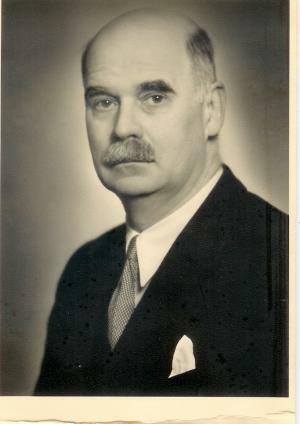 He was doing a fine job managing the family estates prior to the outbreak of the Second World War. It seemed that his life just might turn out normal. Millions of others could probably have said the same thing before Nazism changed everything. For Austria, the rise of the Nazis resulted in the Anschluss of 1938 whereby it was absorbed into the greater German Reich. Maximilian, along with his brother Ernst, vehemently opposed this infringement upon Austrian sovereignty. The Nazis would not stand for any opposition. Both brothers were arrested and imprisoned in the Dachau Concentration Camp. In comparison to others who suffered in the camps, there punishment was mild. They were not murdered, but instead forced to perform humiliating duties which included cleaning toilets. In the space of just twenty-five years Maximilian had gone from the exalted heights of royalty to literal servitude at the beck and whim of a depraved ideology. The old Europe was not just a thing of the past it was on the verge of perishing in the camps. And yet Maximilian survived. After only six months inside Dachau he was released. Lucky to be alive, he managed to survive the war. Soon thereafter he was elected mayor of Artstetten. The final period of his life was one of peaceful domesticity. There is a precarious balance to the life of Maximilian. His fate often swung from the depths of despair to surreal domesticity. An awful event was often followed by a pleasant surprise. When the worst could be expected, events turned out for the better. The examples of this pattern are numerous. Even though he was orphaned, he was also raised in a castle. After losing every royal title and many ancestral possessions, he lived a relatively carefree life managing the family estates. Thrown into a concentration camp, he spent the time more in servitude than slavery. He avoided murder, likely because of his lineage, but also suffered imprisonment because of it. His life was star crossed, filled with despondencies and satisfactions of unequal measure. It must have all been a bit maddening. Often at the mercy of world historical events far beyond his control, Maximilian made the best of a quixotic situation. Life for him was unique, dreadful and normal. He may have been born different, but in one key respect he was just the same as everyone else who lived through the multiple cataclysms in Europe during the first half of the 20th century. He was a survivor.